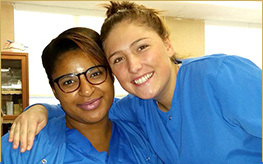 STI offers full-time day and part-time evening Practical Nurse Programs that prepare the graduate to be eligible to apply to take the NCLEX-PN examination. The course of study includes classroom, laboratory and clinical learning experiences. Candidates should be highly motivated and energetic, seeking to enter the demanding field of nursing. Utilize critical thinking within the framework of the nursing process as a basis for nursing practice. Execute effective communication with patients, families and members of the health care team. Apply knowledge of the physical, behavioral and social sciences while providing therapeutic nursing care. Implement safe therapeutic nursing care. Participate in nursing decisions consistent with standards and scope of LPN practice. Utilize holistic care as a member of the health care team. Establish goals consistent with the principles of life-long learning.